This afternoon, Year 2/1 have completed their fantastic seaside scenes and I’m sure you’ll agree, they look fantastic! 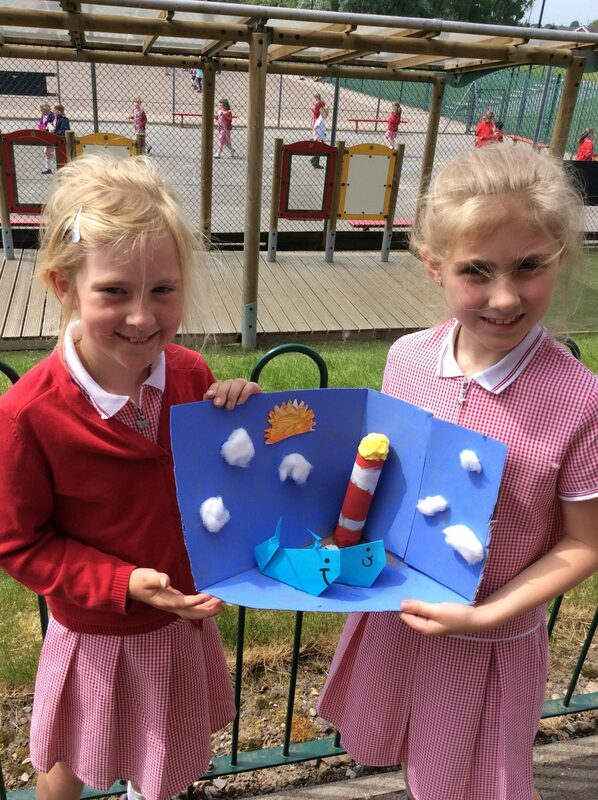 They have worked extremely hard with every step from painting their boxes, creating their lighthouses, cutting out and decorating their shells to making their own origami whales! Well done Year 2, you worked brilliantly together and your seaside scenes have made us all excited about our upcoming trip to the beach! This entry was posted in Year 2 and tagged Art, Geography, Technology on May 24, 2018 by Sandford Hill. Your seaside boxes look fabulous children. They have inspired me to visit the seaside over the half term break- as long as the weather holds of course!